The rocky ridge on the mountain’s north side climbs for about 2,000 feet to where it joins the standard East Ridge route. 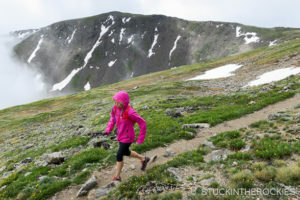 After our run up Quandary’s East Ridge we decided to climb the mountain a second time (the next day) at a more casual pace. The north side of the mountain has a seldom visited, semi-technical climbing route called the Inwood Arete that we wanted to explore. 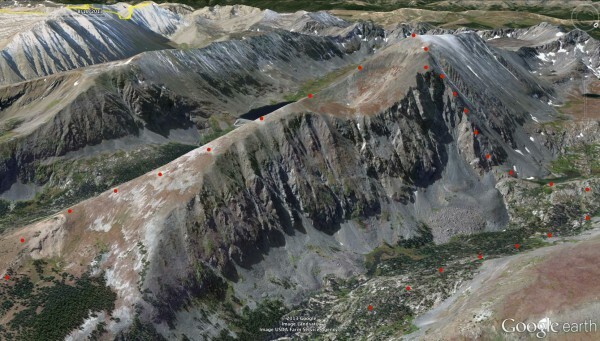 A Google Earth image of the route. Quandary’s north side is accessed from McCullough Gulch, and a one mile hike up the quiet basin offers views of the broad north side of the mountain and the route of ascent. 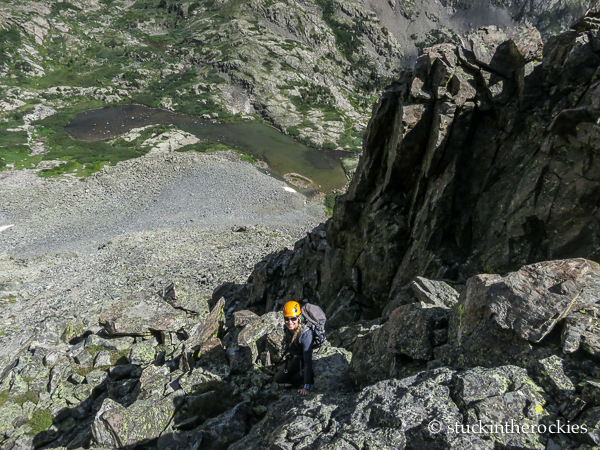 When you arrive at a small lake near treeline, head south up some talus to the base of a long arete. The route never gets too hard. It seems there’s always a way around potential cruxes. The rock is cleanest directly on the ridge. 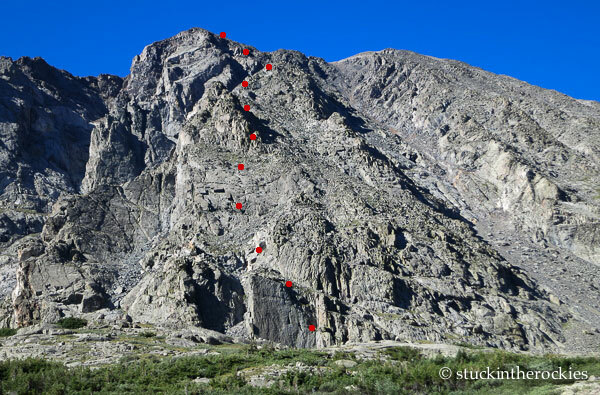 The route reports we had read rated the climbing at easy 5th class, so we put on our harnesses, sorted our gear, and began up. We quickly discovered that the climbing difficulties rarely required the rope, and apart from a short chimney we ascended because it looked fun– the rope stayed in our pack. Well how about that? 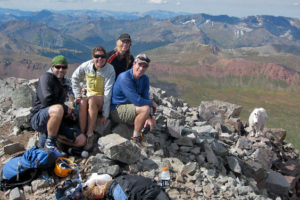 There were nearly 40 people on the summit. 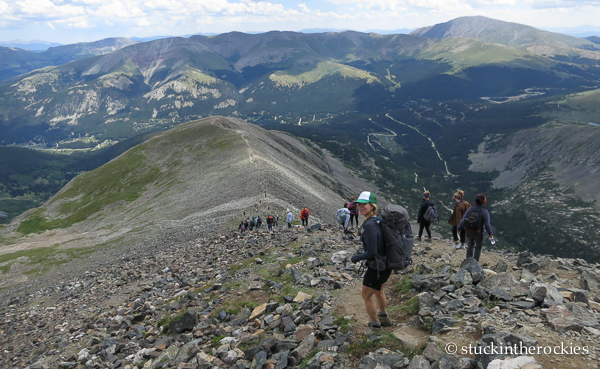 Descending the East Ridge with the masses. 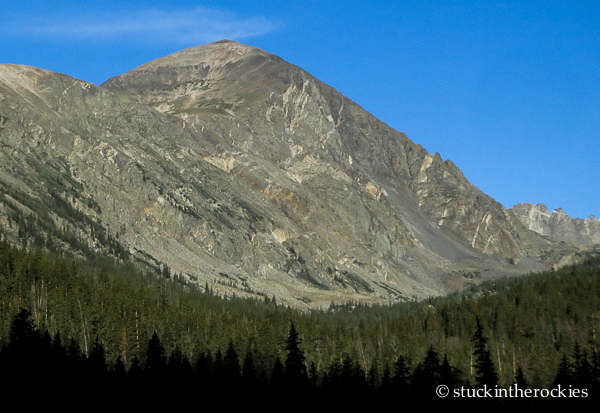 It’s good to see so many people wanting to climb a 14er. We were pleasantly surprised with the route. 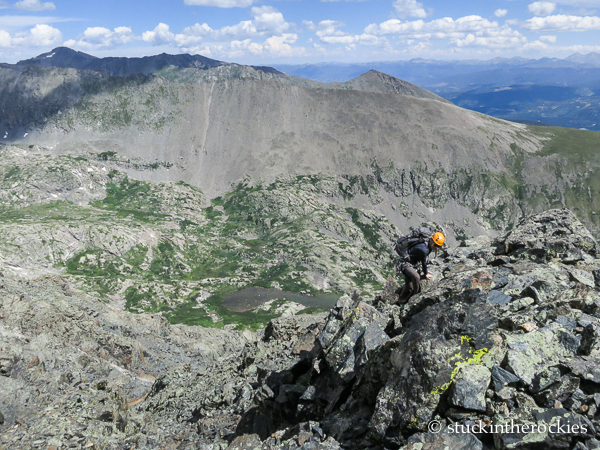 It was a really fun scramble up a somewhat airy ridge with lots of great views. 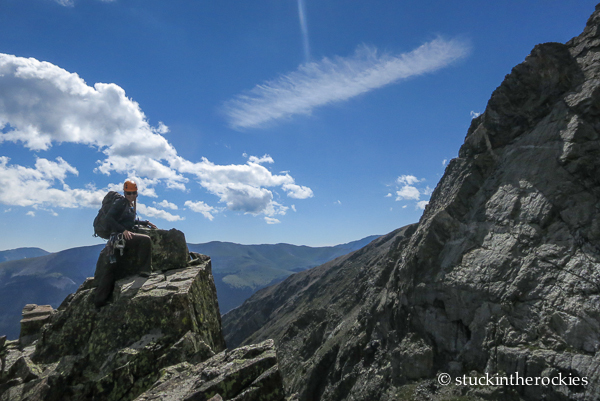 The route was fairly clean of loose rock, and it’s quite long– it tops out around 13,800 feet. It was at that point that we caught our first glimpse of the Saturday crowds on the mountain’s main route. 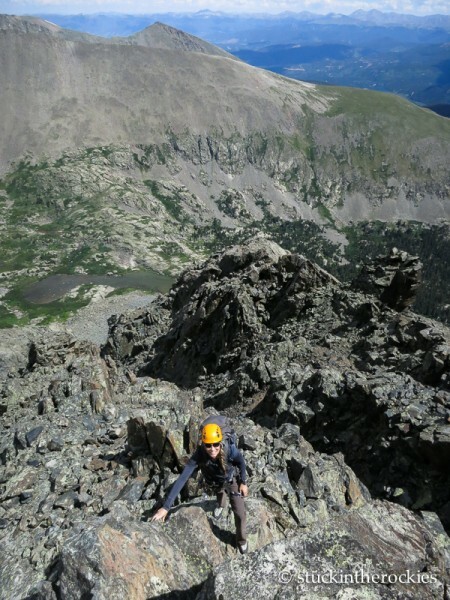 No exaggeration here– hundreds of people must have climbed Quandary Peak that day, yet it was only Christy and I who did so via the Inwood Arete. We had it all to ourselves. The route follows the right skyline. If you’re looking to get up high in the Ten Mile/Mosquito Range but find crowds a turn-off and like scrambl-ey (sp?) 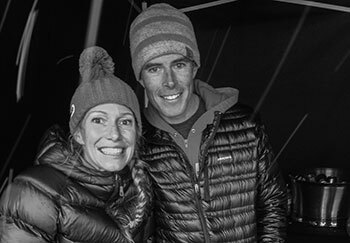 climbing– the Inwood Arete is a great option. Bring a light rope and rack, your harness and helmet, and go check it out. 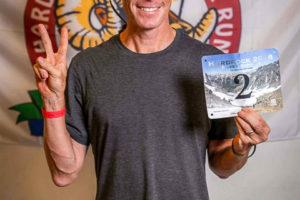 I recently completed my 10th Hardrock 100, finishing in 29 hours and 26 minutes which was fast enough for 7th place. That comes to 1000 miles I've run on the ultra-marathon course in the San Juans.